At Peterson, Berk & Cross, S.C., in Appleton, Wisconsin, we know that facing a criminal charge or suffering a personal injury can make the future seem unclear. The team at our law firm, which also serves people in the Green Bay area, focuses on providing you with clarity and options. On staff, we have a certified mediator and attorneys who have successfully negotiated settlements, as we know how important it is for some clients that a case is handled outside the courtroom. We also have lawyers who have taken cases to appellate courts and to the Wisconsin Supreme Court. No matter which direction your case moves in, you can rely on us for thorough and responsible representation. The attorneys at our law firm help you make an informed decision about how your case should proceed. We do this by explaining to you the court processes, discussing the strength of your case with you, and going over the benefits and disadvantages of each available option. We also offer you every convenience we can, from free initial consultations to accepting credit cards. Our accomplishments speak for themselves. Our law firm has secured millions of dollars on behalf of victims of negligence, and obtained reduced charges or the dismissal of charges for people. 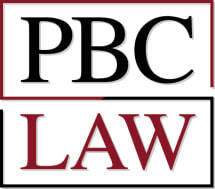 Peterson, Berk & Cross, S.C., has hundreds of satisfied clients, and we welcome the opportunity to count you as one of them.